There is beauty everywhere. Sometimes we just get too busy to notice it. Or we believe what we've been taught about beauty. Certain things can't be beautiful because someone somewhere along the line said so. "That's not a pretty flower, it's a weed." Try telling that to a kid who's eyes haven't yet been shut to the beauty around them, as they pick a bundle of these pretty yellow flowers for their mom. Sometimes we just need to look at things with new eyes. That was the inspiration for this Fingerprint Friday series. I'll be honest that many times the lack of participation has made me want to quit hosting this each Friday. But I can't tell you the number of private emails I've received that say, "I love your Fingerprint Friday series! I don't participate/have a camera/have a blog/have time but it's such a blessing each week to click through the links and see what everyone posts." Loads of emails like this. And that tells me that there is a real hunger by people to be exposed again to what's beautiful. So even if you're not participating in Fingerprint Friday, still take the time this week to notice the hidden beauties God has placed. Sometimes it's an expression on someone's face that you'd never noticed before, or a stolen moment with a spouse, or just smiling because there are pretty yellow flowers popping out in your yard. But the beauty is there, thanks to God. Boy, I really need a camera... Is it Christmas yet? PS Becki please don't give up FpF i love them! I enjoy reading the FingerPrint Friday every week and enjoy looking thru the links, it makes me see things a little differently- I love the interpretation of the dandelion flower. I try every week to join in, because there is so much we miss..I notice each week there is a little more joining in..Even if it is was only three of us..we are still making people aware of God's beauty. Like the little weed..does it know it is a weed? It is a happy yellow flower in the yard that children love to pick..think of the joy the children get from bringing a bunch for mom..What a beautiful Fingerprint from God..
Fingerprint Friday is awesome! Thank you so much for doing this. I used to not even notice things and now I look at the sky and the clouds and everything around me all week, thinking of what to take a picture of for the coming Friday and thanking God for His creation. You're so right about being open to all of God's beauty even cheery yellow weeds. My husband and I were just talking about beauty yesterday...that some people are not beautiful judged just on their physical appearance but once you get to know them, and love them, everything about them becomes beautiful. A fistful of dandelions touches my heart every time the girls bring one to me. Fingerprint Friday has actually tuned my brain to notice small wonders around me all week long. I love your fingerprint fridays also! Everyones posts are so different, yet truely each are Gods fingerprints. As moms we get so caught up in our daily lives (or grind) and busy we often forget to reflect on God and His amazing world & His love for us that is everywhere! This series is a blessing for me & I appreciate your efforts to keep it up! I can't tell you how many times I needed a nudge from my God and you provided it. I'm so sorry I haven't participated in the last 2 Fingerprint Fridays, life just got in the way! I do look forward to reading them and it makes me look around more each week so I can think of something to to share. Thanks for hosting this Beki, great fingerprint today! I do have one for today. Please keep Fingerprint Friday going! It has opened my eyes to God's beautiful creation. My eyes are always looking for the next Fingerprint to do. I also love the links to other blogs. 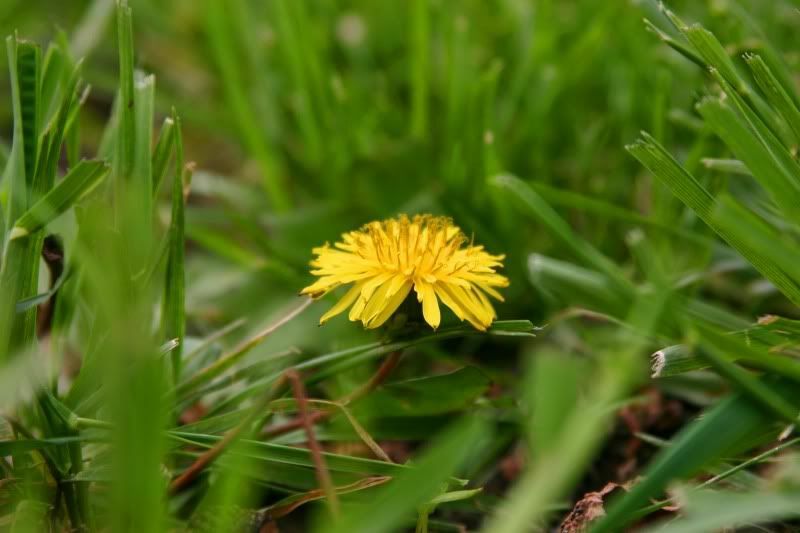 When we see dandelions popping up everywhere we know that is a sign for us to put out the hummingbird feeders. The hummingbirds almost always arrive shortly after the dandelions start popping out. Thank you Beki for hosting Fingerprint Friday. I'm excited about my entry this week! Although I rarely have time to comment and only occassionally participate, I do love your Fingerprint Friday. Such a wonderful way for us all to open our eyes and appreciate what is around us. Thank you! Love to participate when I can but ALWAYS love your willingness to host this and also love the hearts of your contributors! that is so sweet! it's actually funny because my 2 year old just gave me some flowers yesterday, which were one pink flower and one dandelion. and i just think it's the sweetest thing, out of a young pure heart. thank you for doing fingerprint fridays. they are so encouraging and for me to look past my circumstances (see my post) and find the goodness of God in it all. Have always been a fan of Fingerprint Friday...don't give up on it yet. I'll participate soon...I promise! Tagged you for a bloggy award! And, I got the necklace in the mail while we were out of town last week. LOVE IT! Thanks!! I love when my children give me wildflowers. I do love your Fingerprint Fridays! I definitely love FPF. I look forward to reading your each week!